Introducing our Rockett St George Authentic Small Moroccan Vintage Tribal Head! 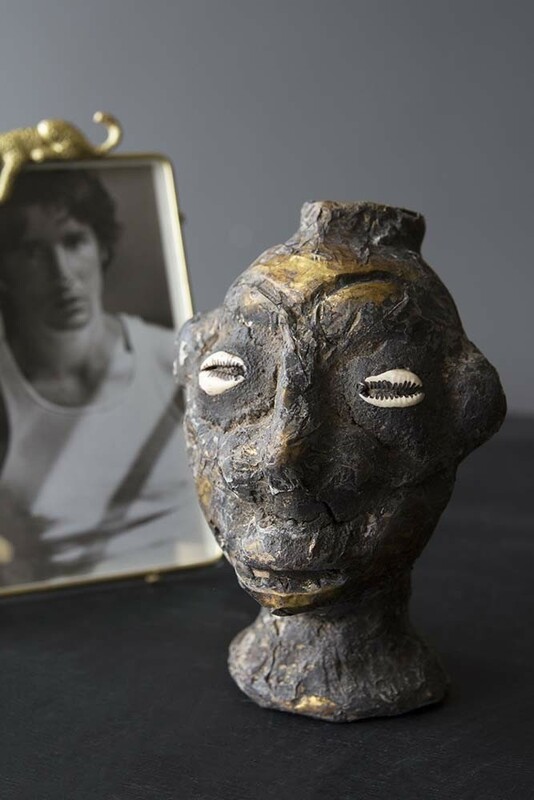 It has always been the dream of co-founders, Jane Rockett and Lucy St George, to bring original Moroccan pieces to Rockett St George and on their last visit to Morocco they sourced this Small Moroccan Vintage Tribal Head which has been uniquely crafted bearing its own individual hallmarks that only adds to the beauty of this handmade piece! Traditionally the art of dressing with decorative jewellery, beads and accessories was only intended for the king and the royal family and was symbolic of their prosperity. 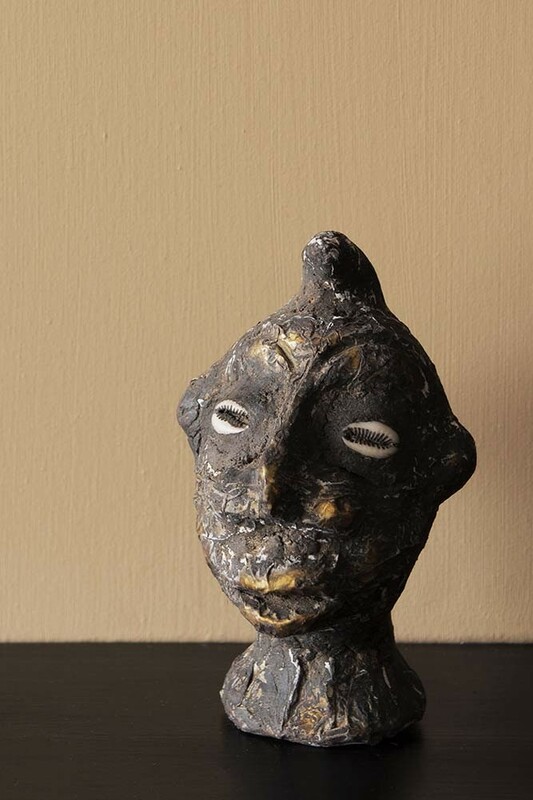 As an act of expression and individualism the Small Moroccan Vintage Tribal Head will be a unique talking point for the home. 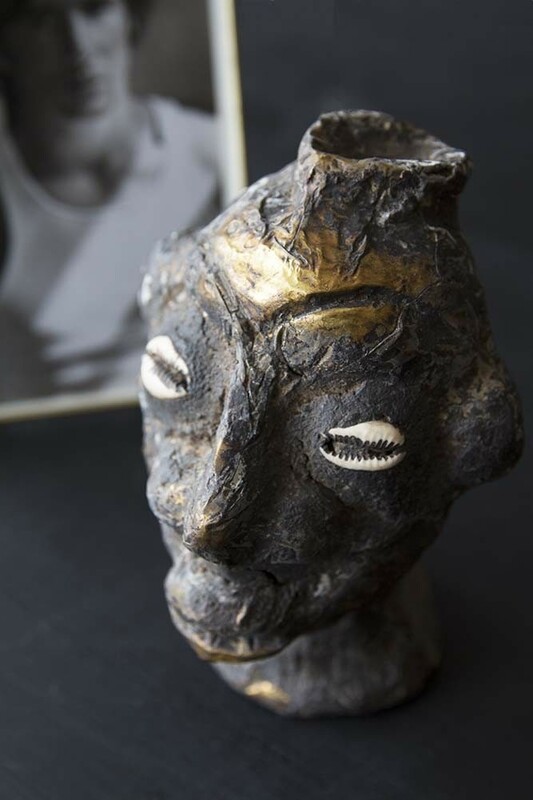 Weird and wonderful; the Small Moroccan Vintage Tribal Head is a textural piece, with no one Tribal Head being the same as another with slight variations in hair style and shape. Guaranteed to add magic to your home, style the Moroccan Vintage Tribal Head on your shelves, side tables, coffee tables, desk, mantelpiece, windowsill and in your cabinet of curiosities to add a global and ethnic inspired look to the home. A beautiful piece with a lovely story behind it the Small Moroccan Vintage Tribal Head would also make a unique and personal gift for that special someone. Please note that each head is individually made and will vary slightly to the image with slightly different hair styles, shaping and sizing.